The Data A1 phone is a RCU (Robot Control Unit) which connects Pepper to our AI Cloud. The entire system can scale to millions of robots online covered by an advanced mobile a vast area such as 4G and 5G networks. It is able to detect users by face recognition and converse in multiple languages. Cloud Pepper connects with customers on an emotional level, providing a new unique conversational experience. Cloud Pepper is effective at receptions, as a companion, providing service guidance, or as a market promotor. 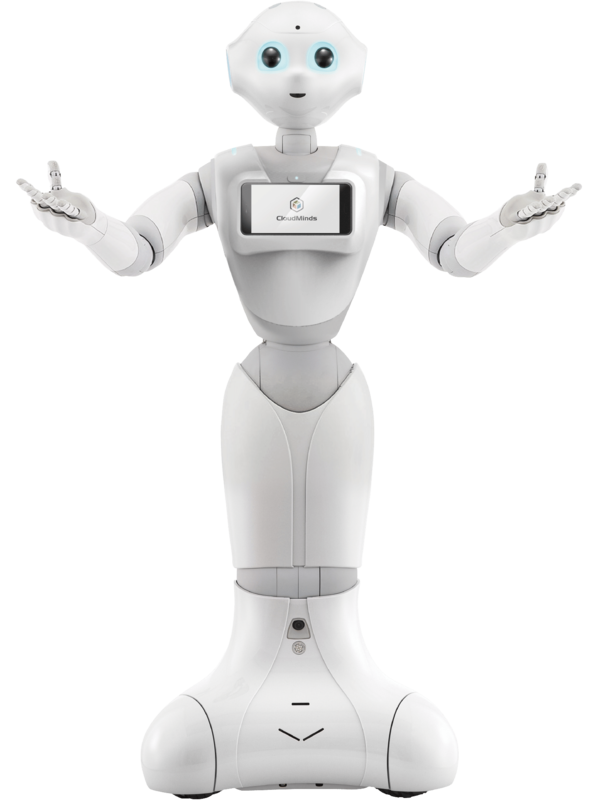 Pepper itself is made by Softbank Robotics Corp. (SRC). Able to detect user by face recognition and converse in multiple languages, Cloud Pepper connects with customers. Cloud Pepper is a great way to communicate corporate branding and messaging to audiences. Cloud Pepper can provide appointment registration information, talk with patients, and provide companionship. Cloud Pepper is can be a concierge, guide guests to hotel rooms, answer questions, and be a brand ambassador.